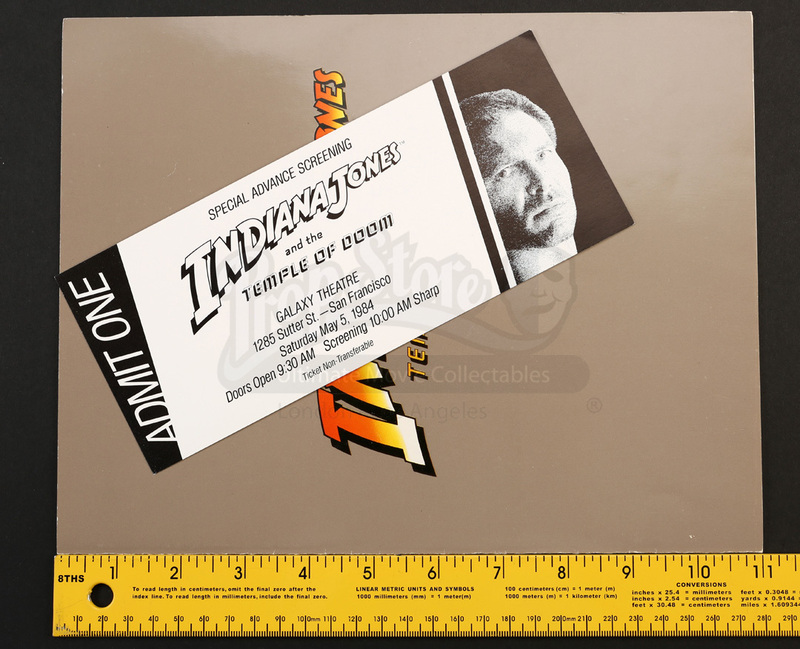 An advance screening program with a ticket issued for Steven Spielberg's 1984 action adventure classic Indiana Jones and the Temple of Doom. 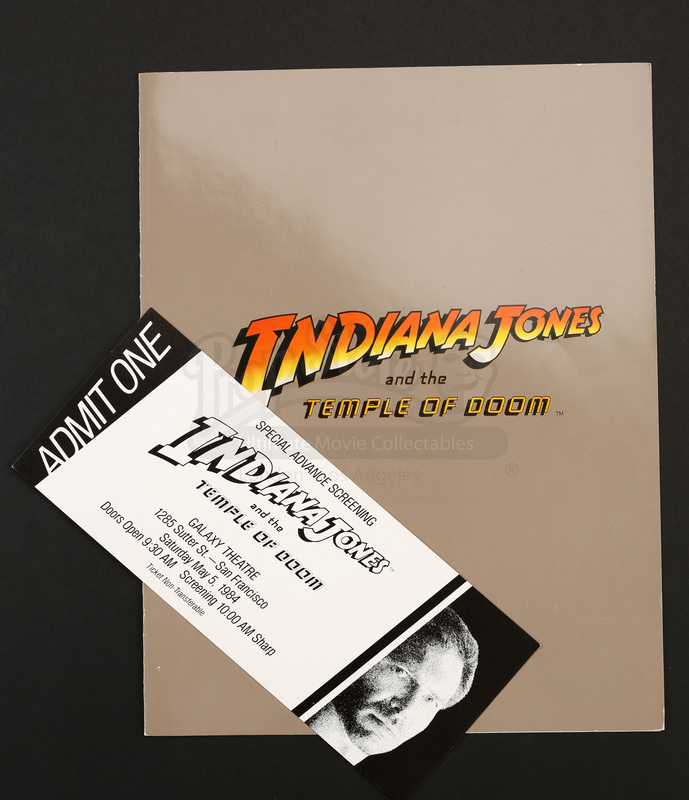 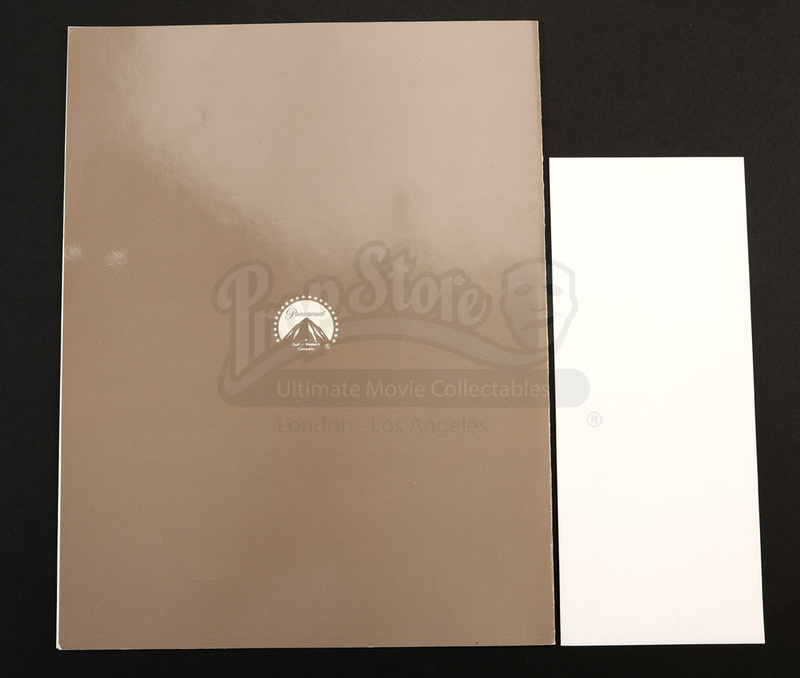 The program is printed on a folded double sided sheet of cardstock with the front cover showing the film's original title art. 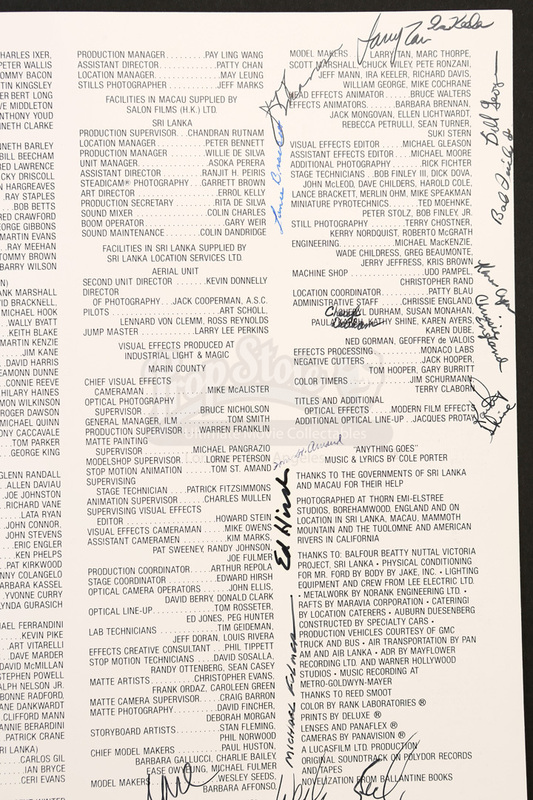 Inside the program are the cast and crew credits. 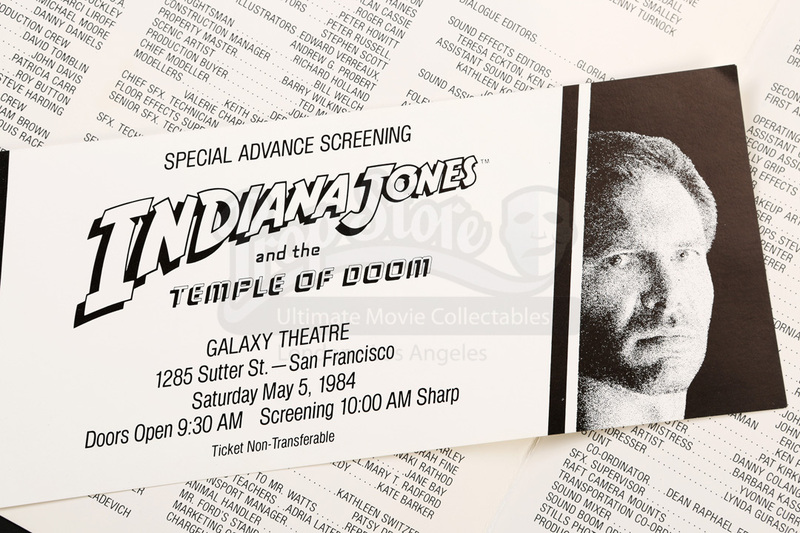 Paired with the program is a ticket for the special advance screening, which notes the event taking place at the Galaxy Theatre in San Francisco on May 5, 1984 at 10:00 am. 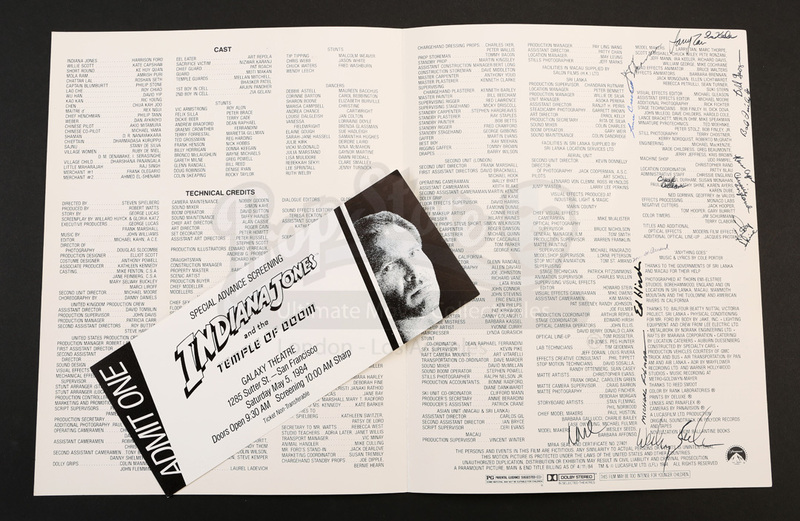 The set shows minor wear due to storage and age, however it remains in overall good used condition.